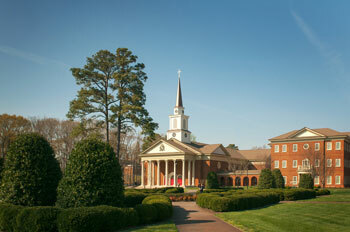 The Regent University School of Divinity leads the integrative project “Contemporary Science and the Renewal of Christian Faith.” The heart of this project is an engagement of various sciences by the theological core curriculum of three master’s programs as well as the exploration of contributions from the theological disciplines to the contemporary sciences. The project is directed under the auspices of the Regent Center for Renewal Studies with the involvement of key faculty from spiritual formation, biblical, historical, and systematic theology and with two consultants from the science departments of Regent University. The interdisciplinary initiative attempts to respond to the pastoral challenges associated with the findings of modern science, to improve students’ understanding of the dynamic character of science in conversation with theological education, and to provide teachers and students with resources to discuss the possible renewal of science and Christian faith. The project complements the School of Divinity’s recent restructuring of its master’s degree programs, current University initiatives to construct a science curriculum at the intersection of faith and learning, and the School of Divinity’s emphasis on Renewal. The innovative project targets the engagement of various sciences among the core areas of the theological master’s curriculum, collaboration with other University departments in the natural, social, human, and behavioral sciences, hosting a national conference on the intersection of the Holy Spirit, science, and theological education, facilitating a public workshop, disseminating public discussion and resource guides, offering a peer-reviewed essay contest, and creating an interdisciplinary, academic publication on the challenges and opportunities of engaging contemporary science with an emphasis on the renewal of the Christian faith. Historical developments of the Church, with special emphasis on renewal movements and the history of Christian thought from the Reformation (sixteenth century) until the eighteenth century.